This neck cooler is made from a cool soccer print. There are not only the usual black and white soccer balls, but red and white, as well as blue and white soccer balls. This neck cooler is perfect for the soccer star in your life, while playing in the warm weather. 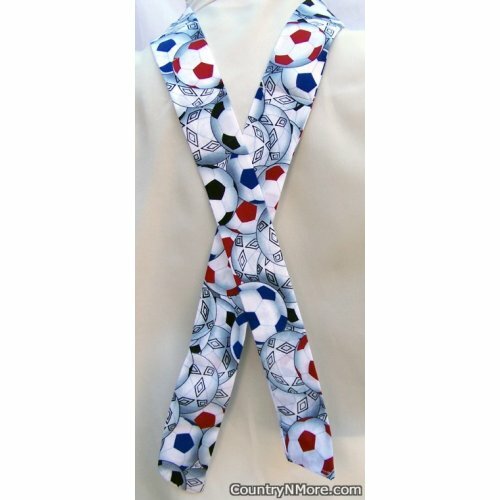 These neck coolers are perfect for any soccer team or fan.